Every day people in every part of the world look for ways to make life easy and enjoyable. 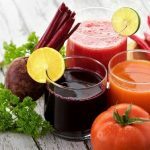 One of the ways people try to make domestic works is by having any means of assistance in making different kinds of juice, both fruits and vegetable drinks without buying from any tin juice manufacturing companies. Preparing our own fruit drinks and juice is very ones dream. 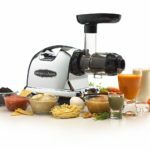 The solution to some of the problems in the kitchen is by having an Omega J8006 nutrition center juicer right at home. 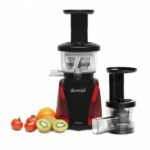 The Omega J8006 is a super strong juicer that is essential in juicing vegetable, fruits, nuts and other foods that might require juicing. 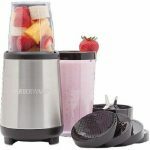 This Juicer is highly recommended for families, offices and outdoors activities. Unlike other juicers that are faster in operation and have a speed capacity of about 1400rpm while the Omega J8006 Nutrition Juicer is slower in operation and it has a speed capacity of 80rpm of which it delivers its juicing work more efficient then other juicers. Other juicers work like a marathon machine and juices produced from other centrifuge juicers damages the vitamins in our juice and produces excessive heat which sometimes is the cause of damages to the vitamins in our juice. But in the case of Omega J8006 juicer, it does not generate heat because of the slowness of the juicer, and juice manufacture through it has the capacity of staying for days and still retains its test and vitamins. 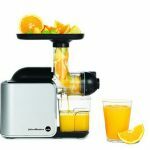 Omega J8006 Nutrition center juicer is a unique juicer with a unique functional parts different from juicers. 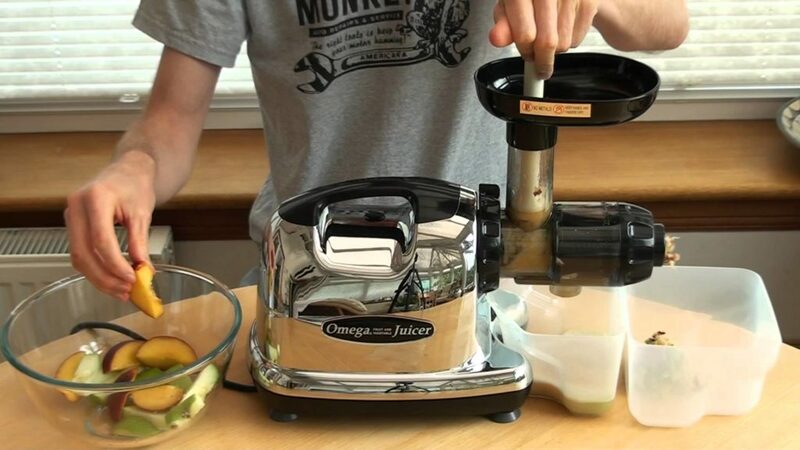 We will be reviewing how Omega J8006 nutrition center juicer works (functions). SIZE: The Omega J8006 is 8 and half inches tall, 7 inches wild, 11 inches long and its weight is about 16 pounds. SPEED: It has a low speed capacity but very powerful, its working ability depends on how the speed and power is being used by the consumer. 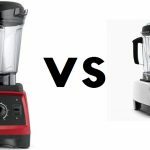 It is not nosier and is the perfect juicer for vegetable, fruits and nuts because it would not destroy the nutrient and vitamins in your vegetables and fruits. 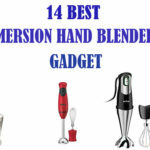 It comes with a cleaning brush, a blending stick that helps you to push down whatever you are blending into the juicer. It come with a sieve that you can use to filter your juice after juicing or any food item blended by the Omega J8006 juicer. Ensure you separate hard food from soft food during juicing. When juicing Apples, carrots and vegetables. Slice your Apples, carrots and vegetables into small pieces to enable the juicer juice them properly. 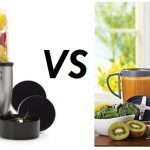 Place the two Omega J8006 juicer collection cups or tanks, one for the collection of the juice while the other collection cup or tank is for the pulp. 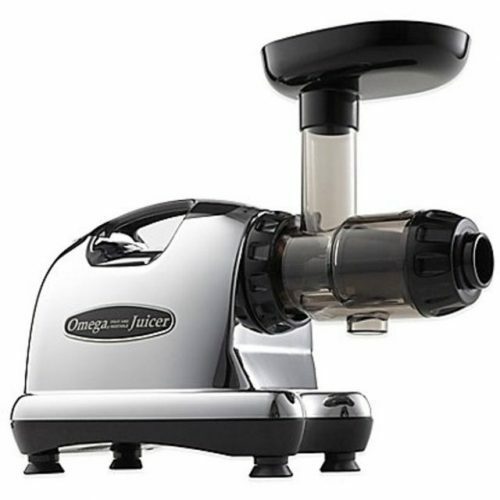 N/B: Once you switch on the Omega J8006 machine for use, ensure you leave it on until you are done juicing all the fruits or vegetables you want ton at that point. 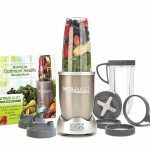 Once you are done juicing your fruits and vegetables with the Omega J8006, you can now enjoy a freshly made fruits and vegetables drinks, saving yourself the cost of sending much from buying already made tin juice and living a healthy life. For any machine to last and function well at all time. Proper cleaning measures must or should be taking. 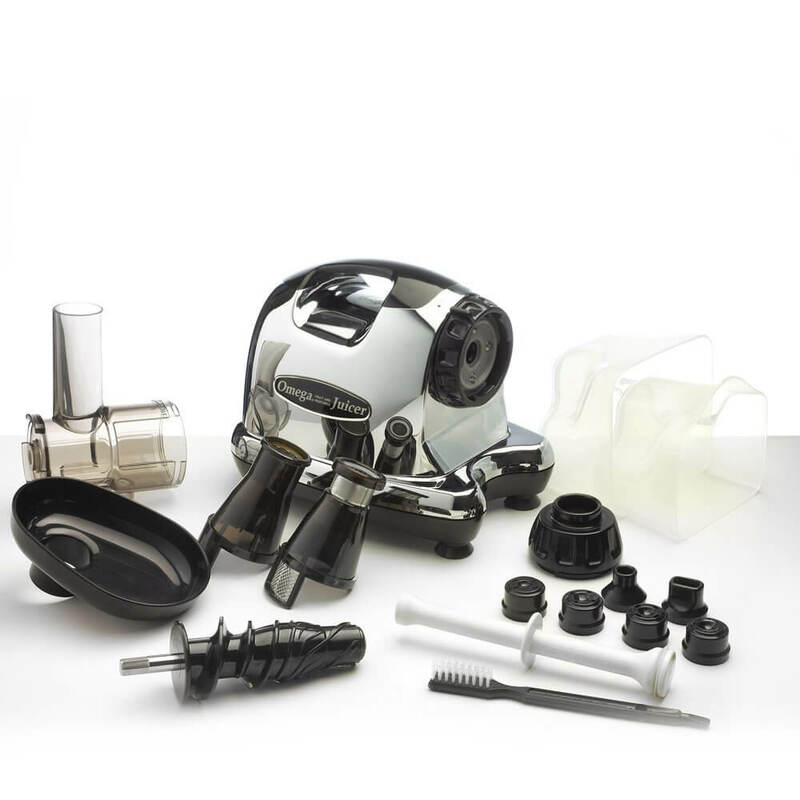 Talking about your juicer, is essential to keep the Omega J8006 juicer clean immediately after use to avoid bacterial building up in it and to remove food particles that might be sticking inside the juicer. STEP 1: Before your start the cleaning very parts of the Omega J8006 juicer, ensure that the machine is switched off; if possible disconnect it from its power source to avoid water coming in contact with electricity. STEP 2: Remove the collection cup bearing the juice and the collection cup bearing the pulp and rinse the both collection cups. STEP 3: Rinse the Nozzle of this machine in a running clean water to remove food particles. STEP 4: Soak the strainer in a water or soapy water soften the food particles and then wash it using the Omega J8006 brush. STEP 5: Clean all the parts of the juicer with a clean dry towel and allow to air dry. It can very easy to clean after and before use. During juicing operation, it does not damage the vitamins in your fruits and vegetable the way other centrifuge juicers does. It works so well especially during extraction of juice from fruits, it ensures proper extract of all the juice in your fruits and vegetable. It can stay for 3 to 4 days when stored properly. 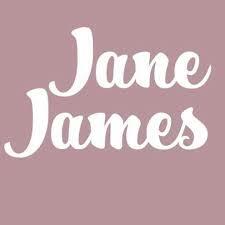 It requires more time for juicing your fruits and vegetables because of the slowness (the running speed). It can’t be easily carried around like other smaller juicers. It requires you chopping some of the fruits and vegetables into smaller piece before juicing. Without slicing the fruits and vegetables, they will not fit in into the juicer.